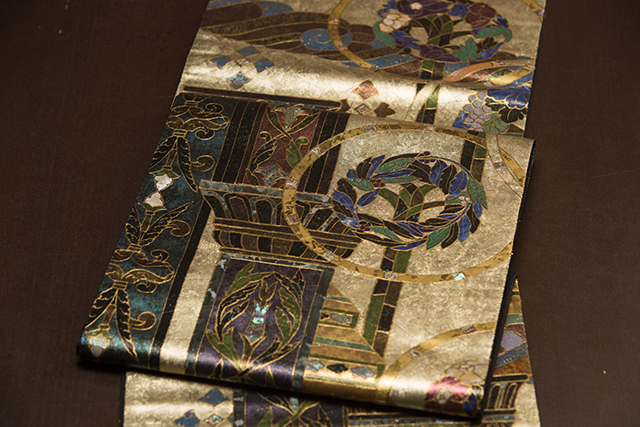 The work of the late kimono and obi master佐野正喜[Sano Masaki]. 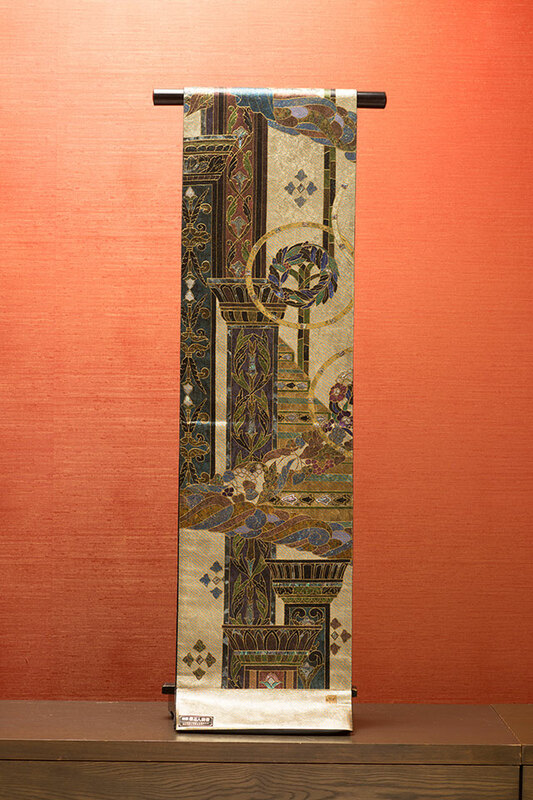 It is characterized by the oriental world expressed through the extremely fine Chigiri foil and mother-of-pearl inlay. Incorporating Greek mythology as well as European and Middle Eastern motifs, 佐野正喜[Sano Masaki] has been highly acclaimed both domestically and internationally. This piece illustrates gods from Greek mythology. Copyright © Japan art gallery All Rights Reserved.